All you have to do is download the EARACHE winter catalogue (pdf document) and you will then need to enter your email address to have access to over 100mb of screaming earache metal! Win a pair of VIP tickets to see MALEFICE for the 2011 upcoming Metal Hammer 25th Anniversary show and hang out with the band..
Due to the event this is an 18+ only competition. MALEFICE have announced they will play two very special shows in October. Reading outfit have been added to the bill of the Metal Hammer 25th birthday pary in London along with Orange Goblin, Dirty DC and more to be announced. Tickets are at a 1986 price of £2.50! A week later they join Skindred, Therapy? Rolo Tomassi, Yashin and The Treatment at the Jagermeister ‘Ice Cold In Birmingham’ special on the 31st. Dan Mangan new album Oh Fortune, also joins the City Slang label. Following numerous European jaunts, tours with The Walkmen, The Decemberists and Okkervil River, playing for Wills & Kate on their recent trip to Canada, award nominations and appearances at Glastonbury and End of the Road, Dan Mangan has joined City Slang. The Vancouver-based song smith will be releasing his captivating new album ‘Oh Fortune’ in the UK on December 5th. Already a highly regarded Polaris Prize nominee in his home land, his mark on the UK thus far has been fleeting but impressively well received and the release of this new record a statement of intent. Ambitious and textured, ‘Oh Fortune’ sees Mangan pull away from the world of alt-folk, observational anthems that its predecessor ‘Nice, Nice, Very Nice’ encapsulated, allowing the music to swell up into waves of full orchestration and with the help of free-jazz experimentalists and Seattle’s Eyvind Kangarrangements developed into luscious walls of sound, sweeping and flowing throughout the album.‘Post War Blues’ is the perfect introduction to the album, and proves that Mangan has much more to give than ‘Nice, Nice, Very Nice’ suggested. Despite the change in direction, ‘Oh Fortune‘ never strays far from what Mangan believes is ultimately “him”. Anthemic calls to arms such as ‘Post War Blues’ and ‘How Darwinian’ do just that. Reflecting how Mangan is feeling now, and continuing the themes of isolation and desperation that are raised by tracks such as ‘Rows of Houses’, the rich instrumentation and the positivity of the album’s title spawned from Dan’s reflection of a ticker‐tape parade in the US in 1926 balance out the morbid streams of thought. ‘Oh Fortune‘ debates melancholy while it anticipates incredible moments of glory and victory, as the title’s background suggests. It’s not sad, it’s simply honest. Life is just that. 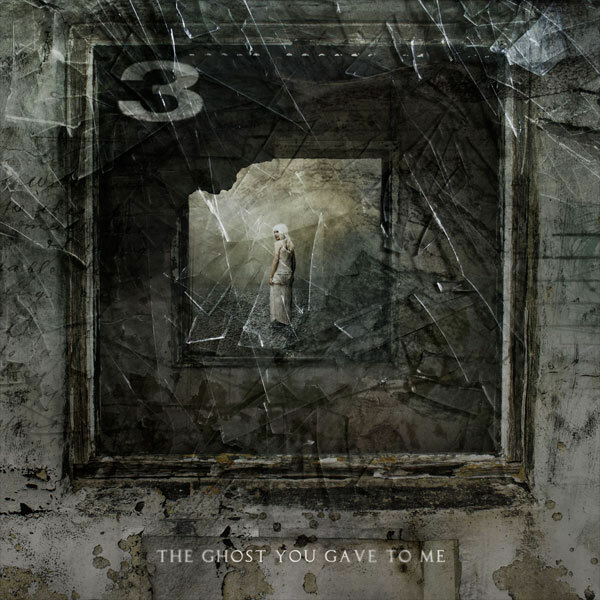 New Yorks progressive metal band ‘3’ have released their eagerly anticipated album ‘The Ghost You Gave to Me’, the band have also release a video single ‘Numbers’ from the album, which you can watch below.. This is the band’s sixth studio album since 1999 and is a massive step forward for the group. The 3 trademarks are intact – many musical peaks and valleys, bright and uplifting chorus’s alongside dark and heavy passages powered by Gartdrumm’s aggressive drumming and the acoustic/electric guitar duo of Joey Eppard and Billy Riker. The Ghost You Gave to Me is 3 at their most inspired. In other 3 news, the band has confirmed that they will be touring North America this Fall as direct support to Cynic. The tour kicks off November 3rd in West Chester, Pennsylvania and wraps up November 23rd in Hollywood, CA at the Key Club. The second night of the tour sees 3 appearing as part of the Metal SuckFest. The third and final installment of the Warp Riders Trilogy has been released today by Texan metal warriors The Sword. ‘Night City’ was directed by Artificial Army and features Esteban Powell, best known for his role as Carl in the classic Dazed and Confused film. The band are currently looking forward to touring the UK in May with the formidable skills of notorious intergalactic bounty drummer, Kevin Fender who joined the band last October when former drummer Trivett Wingo left the band for personal reasons. With Kevin now on board, The Sword will be touring the amazing Warp Riders album that was released in 2010 on Kemado Records. It’s The Sword’s first concept album, a science fiction maelstrom put to the storming, relentless riffage and pounding rhythms upon which the band has staked its reputation. It’s also their most flat-out, supercharged, adrenaline-pumping work yet, a chrome-plated war machine that lords over the blackened sky.